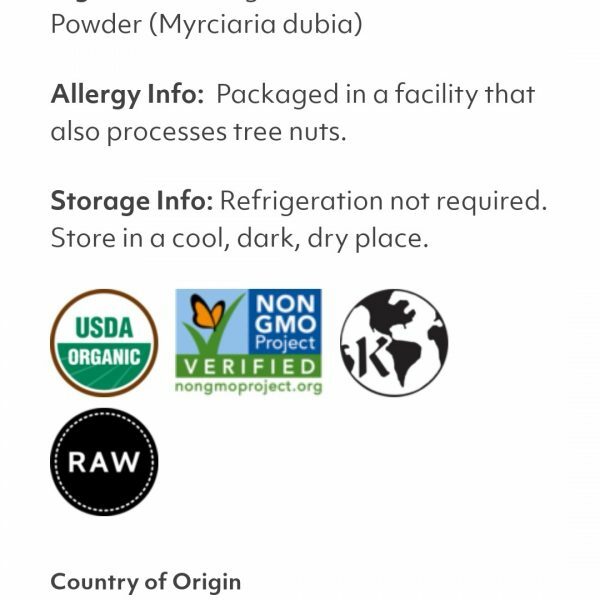 Camu Camu is a nutritionally dense superfruit loaded with impressive levels of Vitamin C – sixty times that of an orange. 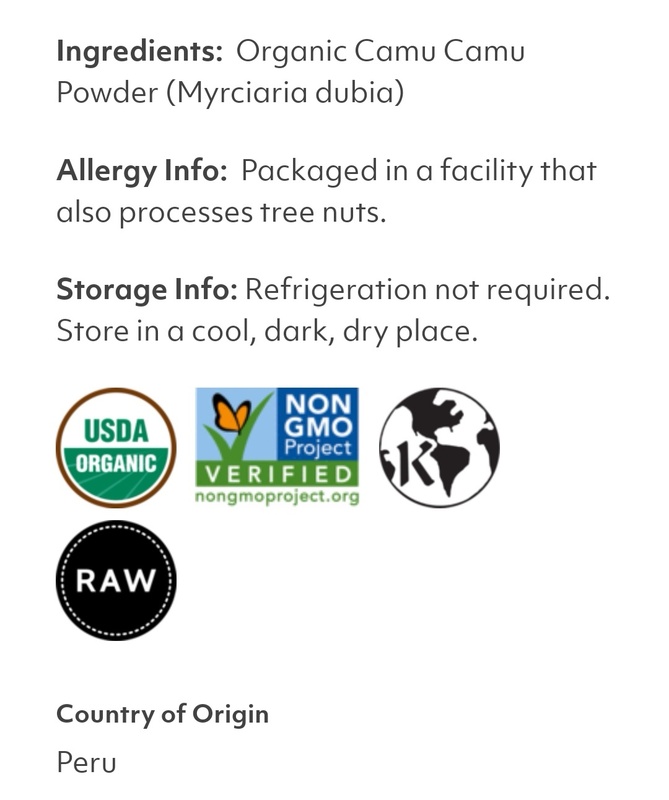 It is also a rich source of potent antioxidants, phytochemicals, amino acids, vitamins, and minerals, including iron and beta-carotene. Vitamin C is essential for healthy skin, robust immunity and is also a vital component in collagen production required for repairing tissues. 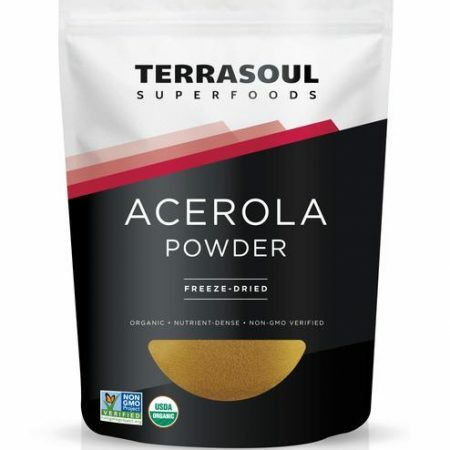 Unlike lower quality Camu Camu powders, the fibrous seeds are removed during production – the reason why Terrasoul Camu Camu powder has such a high vitamin C concentration, guaranteed to be at least 12% vitamin C by weight. 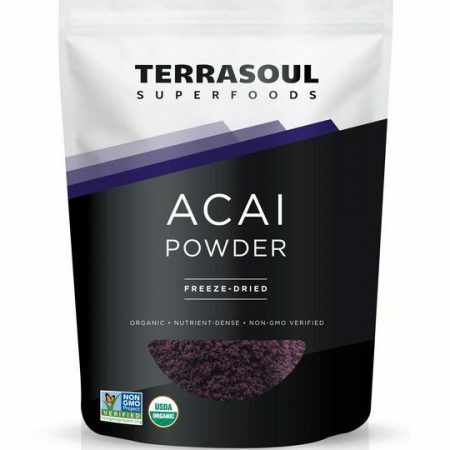 Terrasoul Camu Camu is gently dried at low temperatures to preserve its broad range of nutrients and its deliciously tangy and tart flavor. 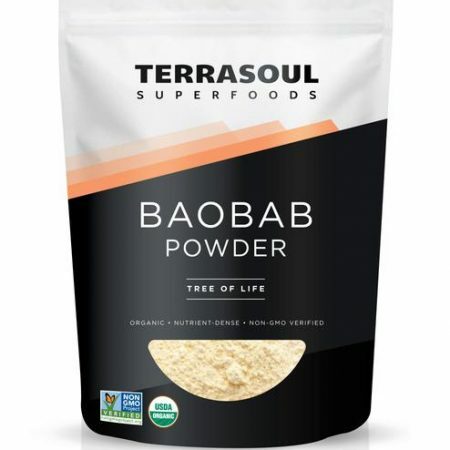 Enjoy Terrasoul Camu Camu by pairing it with bananas, carrots, strawberries or sweet potatoes in a smoothie or juice or simply stir it into water sweetened with a bit of palm sugar. 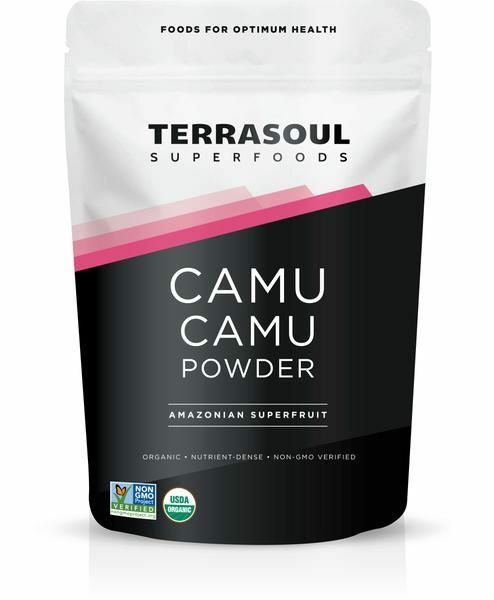 Terrasoul Camu Camu powder sure packs a punch of flavor and vitality!